Contact us for more information about our directory or if you wish to comment on our listings, articles and guides, or submit a new resource you’ld like to share through our website. 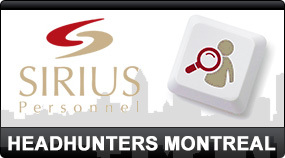 PLEASE NOTE THAT this contact form is for questions regarding our website HeadHunters-canada.com. As we are not a HeadHunter company or recruiting agency but a directory listing the HeadHunters in Canada, we unfortunately cannot help you find either a job or employees, nor accept your resumes at the moment. We can however help you with your search for the right Recruitment Agency or resource that will be able to fulfill your needs.